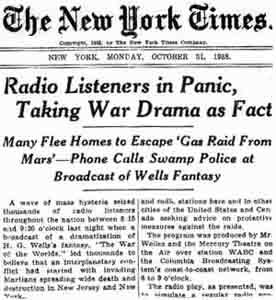 On October 30, 1938, it was reported that cities across the USA erupted in panic over a dramatic broadcast of H.G. Wells War of the Worlds. Although the broadcast was introduced as a drama, it was conducted as a series of news bulletins without commercial interruption. Some who tuned in late to the broadcast reportedly thought an actual invasion from Mars was taking place! This event is an excellent example of how crucial it is to know what genre we are reading, or in this case listening, to. 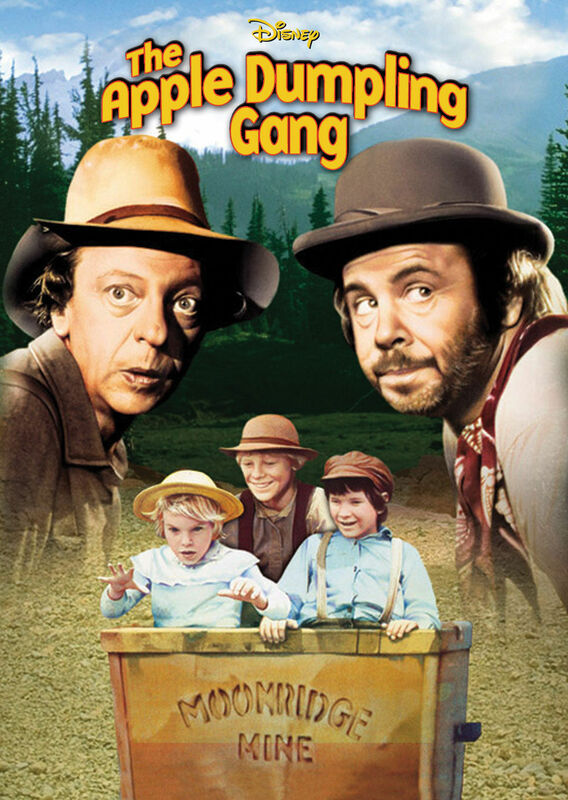 The genre of the Apple Dumpling Gang is clearly that of an Old Western comedy. We often don’t think about genre because it is usually intuitive. In the example above, a novel set in the late 1800s in the Western USA is clearly a Western Novel, and if the heroes are clumsy sort of fellows, as in Disney’s The Apple Dumpling Gang, we recognize the story is a comedy. Two things are obvious from this example: 1) genre is frequently identified subconsciously; and 2) the form of the genre tells us what kind of literature/art we are experiencing. The examples I have given to this point are all examples from modern Western culture. Because we know our culture and the language, identifying genre happens naturally. Of course, there are still occassions when we can be fooled, as in the dramatic radio version of H.G. Wells War of the Worlds mentioned above. The misunderstanding which resulted demonstrates how important a correct identification of genre is. The correct identification of genre is even more challenging when we are dealing with a literature written in a different language, in a time long ago, whose culture was very different from our own. Before talking about Biblical genres, however, I want to give one more example which shows how our understanding of genre determines the meaning of a word. 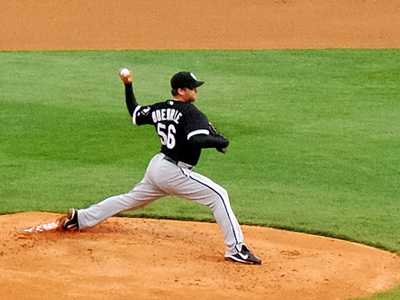 What do we mean by “pitch”? Is it this? Or this? Or something else? What Kind of Genres are Found in the Bible and How Can We Identify Them? The Bible is a library of literature that consists of many different genres. 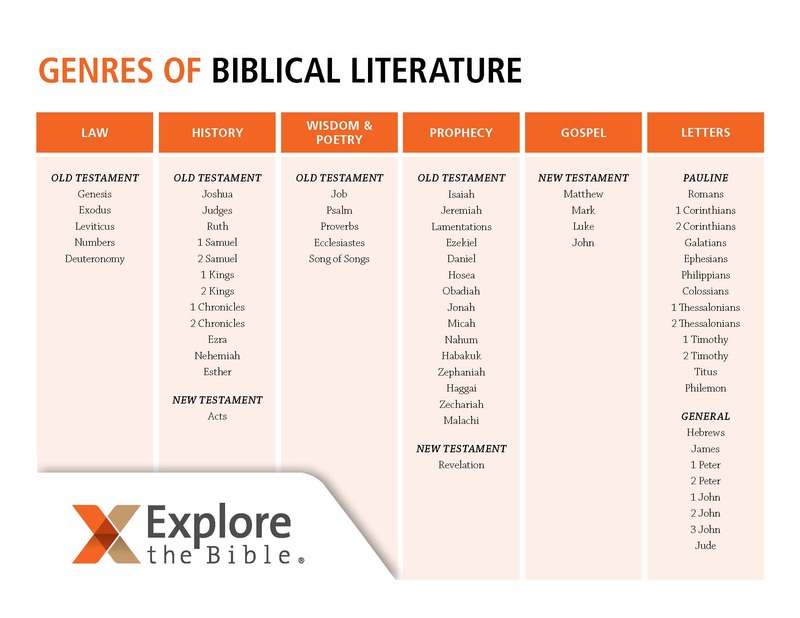 The chart on the left gives some broad general categories of biblical genres. The Bible includes genres that we are familiar with such as narrative or poetry, and genres that are more challenging to understand such as apocalyptic or prophecy. A large portion of the Bible is narrative, but the narratives of Scripture consist of many different subgenres. 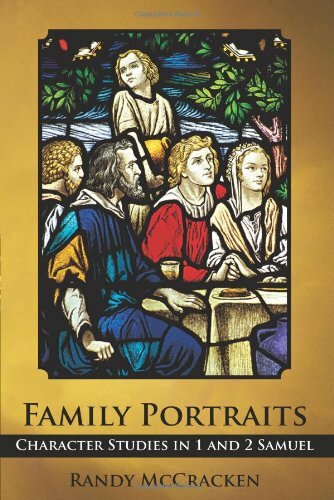 For example, the Gospels, which many today would classify as historical biographies, also contain such subgenres as parables, wisdom sayings, prayers, and genealogies. The letters of Paul also utilize a mixture of genres such as hymns, prayers, diatribes, poetry, etc. Similarly, the Old Testament poetic literature is very diverse. The Book of Psalms consists of psalms of praise and thanksgiving, petition, lament, and imprecation, just to name a few. The prophetic books use various genres to effectively communicate their message including, the prophetic lawsuit, lament, funeral dirge, parable, or song. How can we tell what genre or subgenre is being used? Sometimes this is pretty straight forward, for example, the Book of Proverbs consists of…well…proverbs. Other times, it is more challenging. At times the literature tells us what the genre is. For example, the Book of Proverbs begins with a description of its contents (Prov. 1:1-6), and the Gospels usually tell us when Jesus is speaking a parable (e.g., Mark 4:2). It is important to remember that form is essential to the identification of genre. All genres take a particular form. This is how we can identify narrative from, say, poetry. Or, to give a more specific example, this is how we would identify a love letter from a business letter. Love letters never begin “Dear Sir,” or “To Whom It May Concern” (unless we are being funny or deliberately misusing terms to make a point). Everything from telephone books, to tweets (on Twitter) has a recognizable form. When I read a tweet from a friend, I am not offended if it is only a couple of sentences long. I understand that is the form the genre takes. If my friend wrote a one or two page response, it would not be a tweet. Thus genre is determined by form. This helps us to understand how a biblical genre is identified when it does not specify what genre is being used–and most of the time it does not. 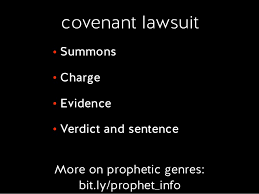 A prophetic lawsuit can be identified by its form and the Hebrew word riv. One example of this is what scholars have called the prophetic lawsuit. Note that this is not an ancient name, but one that Bible scholars have devised to identify the genre. Even though it is a modern classification, the prophetic lawsuit is easily identifiable by its form as well as by the Hebrew word riv (pronounced “reeve,” meaning “contend”). In this genre, God is usually cast by the prophet as the prosecutor and judge, while Israel is the defendent. The charges consist of Israel violating her covenant with God. An example of the prophetic lawsuit can be found in Micah 6:1-16 or Hosea 4:1-19. Understanding the genre and the courtroom picture that is conjured up by it, helps in correctly interpreting the passage. Understanding the genre of a proverb is crucial to interpreting it correctly. We finally come to the point of this article, which is to demonstrate how properly identifying genres can help with biblical interpretation. Let’s begin with the Book of Proverbs. A proverb is, “an axiom or a maxim—a pithy saying—that, by and large, generally speaking, is going to turn out to be true. But a proverb is not a prophecy. In other words, a proverb has no guarantee to it” (Heiser, M. S. (Ed.). (2013). BI101 Introducing Biblical Interpretation: Contexts and Resources. Bellingham, WA: Lexham Press). An example frequently used to demonstrate the nature of a proverb is the oft’ quoted “Train up a child in the way he should go, and when he is old he will not depart from it” (Prov. 22:6). This statement does not guarantee that a child will always grow up to follow the Lord, instead, it is a statement that is generally true. A misunderstanding of a proverb like this can cause godly parents a great deal of unnecessary guilt. A great example of the nature of a proverb is demonstrated in Proverbs 26:4-5 which states, “Do not answer a fool according to his folly, lest you be like him. Answer a fool according to his folly, lest he be wise in his own eyes.” These statements, that have obviously been placed back-to-back by the compiler of Proverbs, would be considered an outright contradiction of each other. But when we recognize the genre and understand that a proverb is something which is generally true, we can see that the author is inviting us to use wisdom in each situation, in order to know which proverb to apply. Apocalyptic literature is the most controversial genre in Scripture. Perhaps the most controversial of all biblical genres is apocalyptic literature. Biblically speaking, this includes portions of the Book of Daniel, as well as the Book of Revelation. Apocalyptic literature has certain stock features that identify it. A few of these features include: the message being conveyed in terms of a vision, dream, or supernatural journey received by a great man from the past; animals representing various nations; and the use of numerology. I am not going to be able to solve any age old debates on how to interpret apocalyptic literature in this short article, but what I hope to accomplish is to demonstrate why people differ in their intepretations. 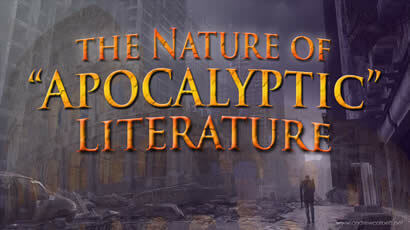 In short, it all boils down to genre, and how one understands the nature of apocalyptic literature. All are agreed that apocalyptic literature consists of symbols and imagery. The question is how far one should go in advocating a figurative vs. a more literal reading. Premillennialists would argue for a more literal rendering unless the text suggests otherwise (e.g., the lampstands in chapter 1 are clearly identified as the 7 churches–Rev. 1:20), while amillennialists would interpret things more figuratively (e.g., the 1000 year reign does not mean a literal 1000 years, but a long period of time). What is important to recognize here is that an understanding of how one should interpret the apocalyptic genre is the issue. It is not a question of orthodoxy, or of one side being more sincere in accepting the Bible as God’s Word. Make a point to always know the biblical genre you are reading. Many years ago when I was teaching an adult Sunday School class on 1&2 Samuel, we were looking at a passage that, to the best of my recollection, is found in 2 Samuel 23:20. In this text, it is said that Benaiah, one of David’s mighty men, fought and killed “two lionlike men of Moab.” One lady raised her hand and read from her version which said something like, “they had faces like lions.” She then wanted to know if the men’s faces literally looked like a lion’s face. She missed the simile, because she was so focused on the account being a literal historical narrative. This might seem like an extreme example, but it demonstrates the mistakes that can be made when we do not properly identify the genre or, in this case, the way in which language is being used. When studying the Bible, we should always ask ourselves what the genre of the book we are studying is. We should also remember that all books of the Bible consist of many subgenres. Just because we have identified the main genre, does not mean our task is done. If you are in doubt about the genre, a good commentary can be helpful, especially those that have a section that discusses “form and structure.” Again, genre is important because it gives us certain parameters in which to determine meaning. In fact, the genre will usually help us understand the correct meaning of the word, because genre determines meaning. You never really stated why genre is important in Bible study. There in no thesis statement in this article. You left me with having to guess “why genre is important in Bible study”. You gave good examples, but examples without an affirmative statement mean nothing. You did not not complete the statement, “Genre is important in Bible study because…”. If I missed something, I apologize. Hi Frank, thanks so much for reading the article and for your comment. Biblical scholars sometimes speak of two different ways of communicating a truth. One is by “showing,” the other is by “telling.” I was hoping that by “showing” the importance of determining genre with various illustrations, it would answer the question of why knowing the genre is important. One of the sentences from my article sums up the idea, however, when I state, “Since genre is so important in determining meaning, this fact can not be overlooked when interpreting Scripture.” Why is genre important? In a nutshell, because it determines meaning. Thanks again and I hope this clarifies things. God bless. Good question. D.A. Carson in his commentary on John refers to the imagery in 15:1-8 as a metaphor. Raymond Brown calls it a “mashal” which is a Hebrew word meaning a parable or allegory. This imagery is reminiscent of a number of OT passages which compare Israel to a vine (Isa. 5:1-8; Ps. 80:8-19; Jer. 2:21; 6:8-9, etc.). Jesus is the true vine. Israel failed to be fruitful, but Jesus is the perfect expression of what Israel should have been. 15:9-16 serves as a commentary on 15:1-8. Therefore, it is instructional or didactic (teaching material). Verses 18-27 are also instructional. Thanks for the question Mathew. I hope this is helpful.